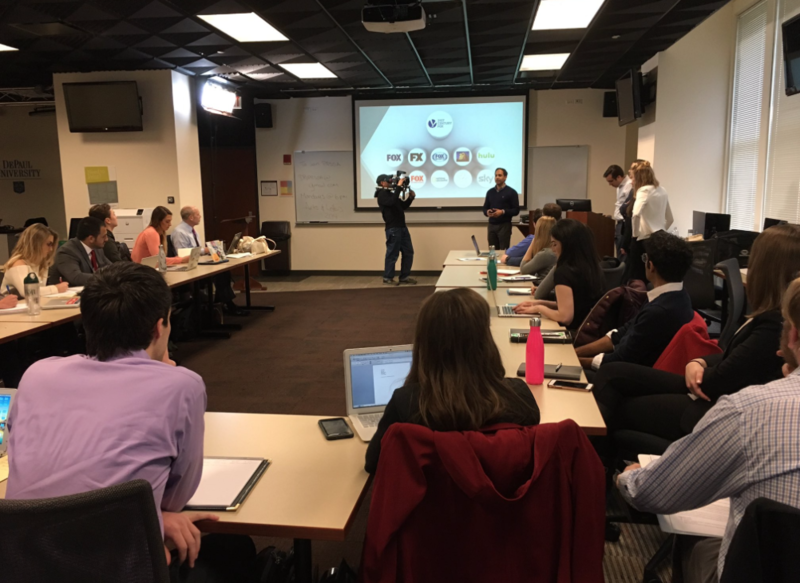 Check out a behind-the-scenes reveal of the work our FOX Sports U students at DePaul University did to develop a messaging strategy that FOX Sports and MLB could use to promote their joint sustainability efforts. The winning team got to join the FOX Sports team on-site at the Mid-Summer Classic at Marlins Park. Born in Chicago, but raised in the suburbs, Samantha Rivera is a recent graduate at DePaul, where she double-majored in journalism and public relations and advertising. As an assistant producer under Carol Marin and Don Moseley with DePaul’s Center for Journalism Integrity & Excellence, Samantha researched/curated interview questions for Carol, including her exclusive White House interview with President Barack Obama, and Pulitzer-winning journalist/Chicago Tribune writer, Clarence Page, amongst other responsibilities. Alongside that, Samantha was a sports beat/news writer for the national award-winning newspaper, The DePaulia, where she covered the women’s volleyball team, the men’s and women’s basketball teams, the Metra fare increase, and DePaul’s Student Government Association. Samantha’s also reported for DePaul’s Chicago Emmy Award-winning show, “Good Day DePaul,” where she shot/written/edited packages on the Cubs’ World Series win, 2016 Presidential Election, DePaul sports, and more. 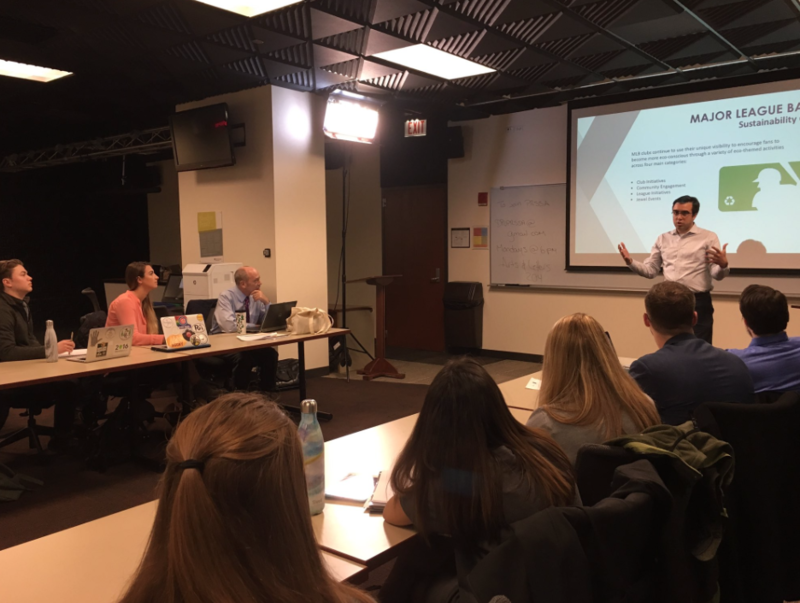 On top of school-related work, Samantha was a news/sports co-host for Univision and Radio DePaul’s ‘La Hora Picante’ on 1200 AM, a show for bilingual millennials. She was also a communications intern for PCG Sports Desk Media, where she had the chance to work with professional sports teams like the Chicago Bears and Cubs, and create original content for our “Fanagement” website. Samantha’s currently looking for work as a sports and/or news reporter in print and/or broadcast. However, given her background, she’s also interested in any jobs within the sports PR/marketing field. When she’s not doing freelance work, you can more than likely find Samantha eating tacos (part of her DNA at this point), watching movies, working out, or trying out new restaurants if she’s not completely broke that week. She’s also patiently waiting until her favorite fall shows return (Jane the Virgin and This Is Us), so she can have an excuse to cry at some really good TV – you know you do it too. Working with FOX Sports University has been an unexpected blessing and the perfect way to cap off my senior year of college. If you would’ve told me four years ago that my undergraduate career would lead me to a trip to Miami, I’m not sure I would’ve believed you. The lessons and opportunities I’ve gained throughout this experience are ones that will stay with me for a lifetime. I can’t thank DePaul enough for setting students up for success every step of the way throughout our college journey. Nikil is from West Chicago, Illinois and will be a rising senior at DePaul University studying advertising. Nikil is interested in the production aspect of advertising as he hopes that he will one day be a videographer or editor at an advertising agency. In his spare time, Nikil enjoys fencing and watching hockey as well as participating in DePaul AdVentors, Depaul’s advertising club. Fox Sports U was definitely a different learning experience where your voice and opinions actually does matter. Fox Sports U definitely opened my eyes to the world of sports PR and marketing. Fox Sports U is an emotional roller coaster, but it’s worth it. Caroline is originally from Overland Park, Kansas and will graduate from DePaul University in November 2017. She is specializing in Public Relations and Marketing. From her past work experience, she has gained experience in tech / digital marketing, event operations and public relations. After graduation she hopes to pursue a career in Digital or Sports Marketing. Outside of school and work, Caroline enjoys traveling, volunteering in the community and watching baseball. I loved every minute of my experience working with Fox Sports and Major League Baseball. The hands-on, real world experience is what sets this class apart and has been one of the greatest experiences of my college career. Truly unforgettable! I’ve learned more about myself and my strengths in relation to a team than in any other class and I know this experience will be something I take with me as I pursue a career in the sports industry. Fox Sports University has given me so many incredible, invaluable opportunities both inside and outside of the classroom. If you are looking to gain experience in the sports industry, Fox Sports University offers up the chance to work with professionals who are eager to help you grow, learn and succeed. Jeremy is from Tyler, Texas, and is a recent graduate of DePaul University where he majored in Public Relations and Advertising. He is currently looking for his first job out of college. He is a huge sports fan and his favorite teams are the Chicago Cubs, Dallas Cowboys and Dallas Mavericks. He hopes to work in sports, either in Community Affairs or Media Relations. He eventually wants to own his own his own public relations firm that specializes in sports and entertainment. He has had internships at the Lyric Opera of Chicago and the Lincoln Park Chamber of Commerce. When he is not working, his is watching sports from around the world, going to the beach with his dog or out enjoying everything that Chicago has to offer. 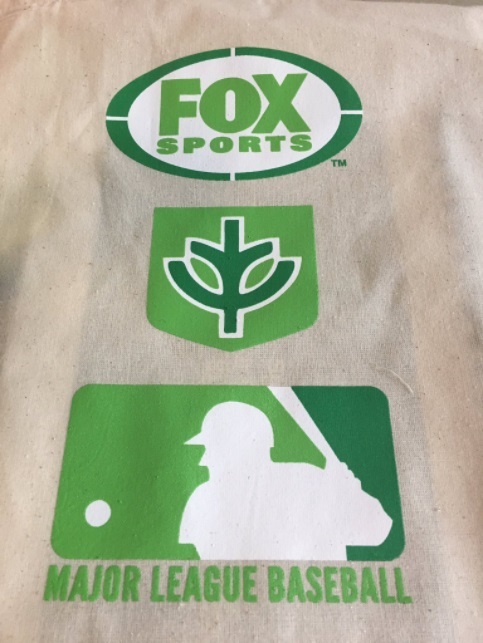 I loved working with Fox Sports and MLB because they are two huge global brands. Presenting our campaign to them, and having them say that we were the best really boosted my confidence and showed me that I picked the right career. Fox Sports gave my team and I a lot and freedom and I think that allowed us to come up with a great campaign. They really let us show what we can do as a team, and that is why this was my favorite course throughout my time at DePaul. It was really amazing to be able to go the All-Star game and be part of the All-Star Green Team. It is one of the best memories of my entire life. Born and raised in the southwest suburbs of Chicago, Hadeel Sweis is a recent graduate from DePaul University with a Bachelors in Public Relations and Advertising. She hopes to pursue a career in digital media and public relations, but is open to any opportunity that allow her talents to be brought to the table. In her free time she likes to explore different cities, spend time with family and friends, and try different foods. She also works part time as a professional Netflix binge watcher. 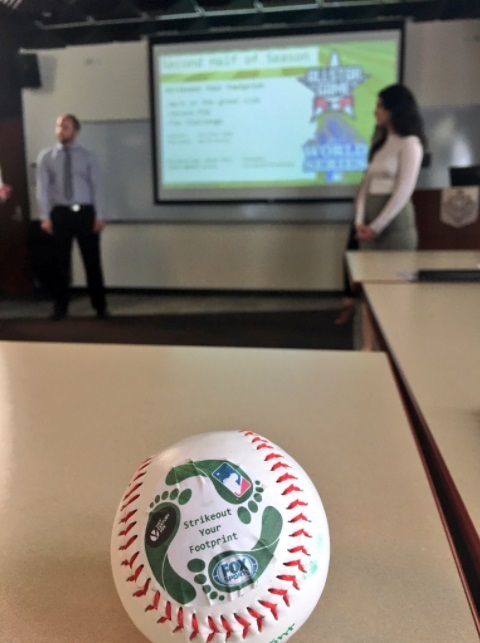 21CF Social Impact and Major League Baseball challenged PR Campaigns students at DePaul University to develop an over-arching messaging strategy that FOX Sports and MLB could use to enhance their existing partnership and raise awareness for joint sustainability efforts.